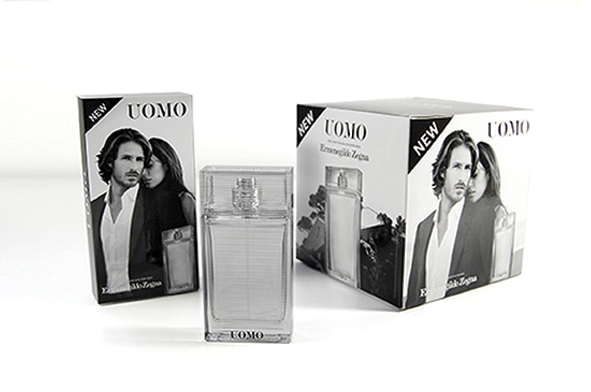 Splashdown create point of sale material for Uomo, the new fragrance for men from Ermenegildo Zegna. Featuring the sensual and stylish advertising image, we created luxury, merchandising elements, to highlight the launch in the retail environment. Collateral elements, included stacking cubes and product sleeves, produced with a gloss laminated finish.